Developed over the last year, Raimundas Malasauskas’s group exhibition Sculpture of the Space Age refers to an exhibition mentioned in J. G. Ballard’s short story The Object of the Attack (1984). Not detailed in the text, the exhibition was supposedly held at the Serpentine Gallery in the early 80’s and exists only as a title in the story. Malasauskas writes “Sculpture of the Space Age is less than 30 years old, but very few can remember precisely what it was about. Perhaps its content is actually outside of the exhibition. This insight is very specific of the novel’s main character Matthew Young’s tendency of space-time denying. Mr Young, who got fined for being disorderly at the opening of Sculpture of the Space Age at the Serpentine Gallery in the early 80s, is the only person known to have attended the opening that night. 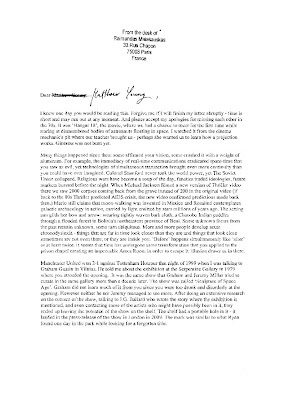 When in the 90s two British artists, Graham Gussin and Jeremy Millar, came across this fictional exhibition mentioned in Ballard’s short story, they got carried away by the idea of translating the exhibition from the space of the story to the space of the gallery. This curatorial premise led them to a conversation with the author J.G. Ballard who suggested a few artists who could have been in the show, although none have been mentioned in the original narrative. Despite the exciting curatorial process Sculpture of the Space Age did not open at the Serpentine Gallery in London in the 90s as Graham Gussin and Jeremy Millar intended. Their time-travelling experiment of making an exhibition turned into an archive, which is now stored in a cardboard box.